Video is the vital element today in brand marketing online. Many types of video ads are in use by the brands to succeed. But, the native video ads are working much better than any other type of ads for the brands. There are many pieces of evidence that native ads are more effective for the brand lifting. Native ads are having more number of views as it is the most shared content today more than the banner ad. There are many advantages of the native video ads for the marketers which made them step into the native video advertising. The average attention span of internet user is very less making it a challenge to create an interest in their brand. The First 10 Seconds of Your video ad are very crucial as otherwise, the consumer may simply stop continuing to see the video. Here are Creative Ways to Capture Consumer Attention in First 10 Seconds of Your Video ad. Make the video personal. The message of the video should tailor to a group of customers or individual customers. Using an impactful photo in the video in the first ten seconds of it can help deliver a strong message within seconds. A smart image can create a quick connection with the viewers. Consumers do not want to see long and boring ads and those campaigns that overcomplicate a subject. Keep the ad as simple as possible. Use only short, catchy phrases. A simple campaign is more appealing to the consumers. Get the consumers straight into the story and create interest with good sounds and images. Ask a question at the start of the video and make a promise to them that they will get the answer to the question by the end of the video. Make multiple versions of the video and analyse which version is working best. It is also good for A/B testing. This also helps to show the ad to multiple target audience that might need a different approach. The first ten seconds of the advertising is crucial for any campaign. Consumers decide whether they are going to buy the brand or not in those seconds. Simple tricks such as keeping the message short, personalising the ad etc. will help advertise even to distract consumers, and this needs no massive marketing budget. he Performance of the ads will be better with the native type of advertisements and the native content. The native content helps to reach the audience which opted in, and even the brands can go with the interactive experience. It enhances the better relationship between the brands and the audience. The content must be matched with the context to create compelling content. the delivery of the content also must reflect the brand goals and message to the audience. It is better to put a limit on the number of clicks for users to get the native video content that means, the user must be able to access very quickly. Content distribution and the sharing — The content must be relevant and must be shareable to everyone. When you want to have strong establishment of native video ads then choose the multiple social media sites like Facebook, Instagram, Pinterest and Twitter which will be accessed through the stream of news feed. Here you can find more audience to have the continuous engagement for your uploaded native videos while compared to other ways. The images introduced in the native video must be effective and unique which plays a vital role in attracting the audience. 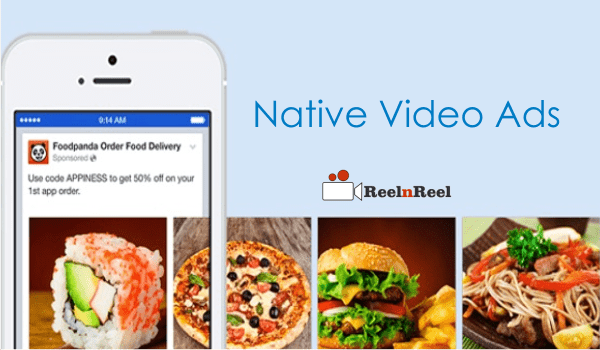 Presently the native video advertising is the trending concept in the video marketing world and each marketer or advertiser are giving preference to go up with the native video ads.